Welcome to the Home of the Dragons! 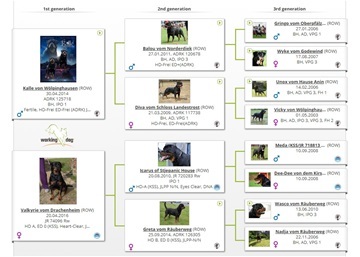 Rottweiler puppies born December 7, 2018 available for reservation. 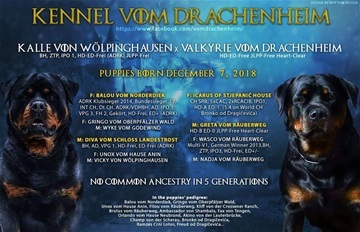 Puppies are grandchildren of the famous Balou vom Norderdiek (ADRK KS 2014) with no common ancestry in 5 generations, raised in the house with ENS and Puppy Culture. Both parents are HD-ED-Free & JLPP-Free. 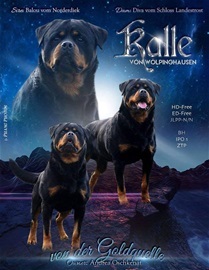 Located in Europe, Serbia, shipping available world wide. Please contact us for more information. 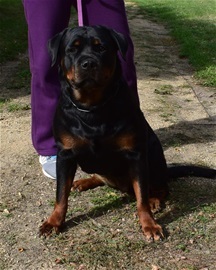 F: Balou vom Norderdiek - ADRK Klubsieger 2014, Bundessieger´13, INT CH, Dt.CH.